When I was knitting my first illusion pattern (Steve’s Harry Potter), my husband saw what I was doing and commented that this technique would be perfect for a new scuba sweater for him. 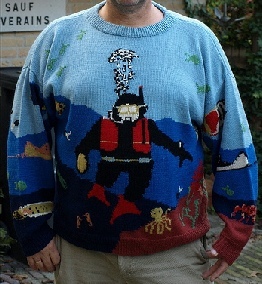 Scuba diving has been his hobby for most of his life and he loves to wear shirts and sweaters that relate to this in his free time, as you can see in a photo from 1994. 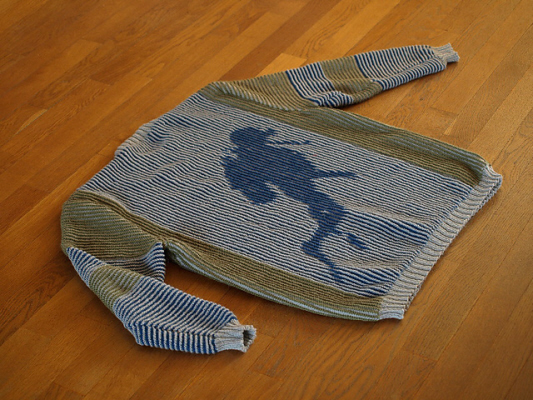 I found an image of the silhouette of a scuba diver and attacked it with my computer and Steve’s tutorial on how to design illusion knits, on Ravelry. (See note below) Since it’s a silhouette, turning it into an illusion knit wasn’t too complicated, so the back of the sweater would be all right. 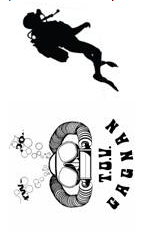 For the front of the sweater I did an illusion pattern from the club logo of our local scuba diving club. 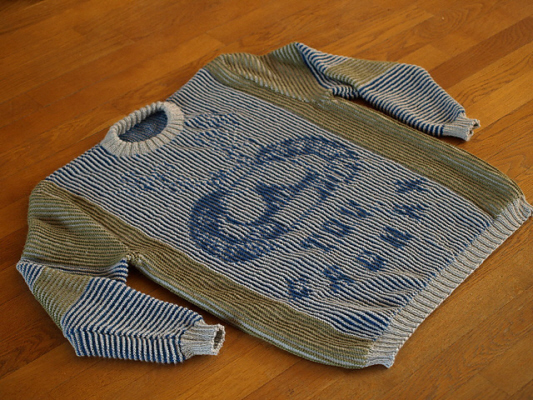 To be able to see an illusion knit, you have to look at it from the side. Therefore I had to knit the body of the sweater sideways. To compensate for this, I had to turn the images I was using for my patterns sideways too. 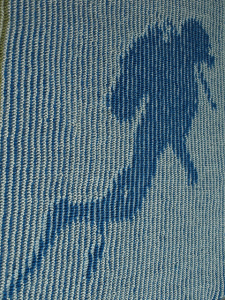 Noone will be interested in the club logo, I guess, but the scuba diver silhouette is available as a free download in my Ravelry store. Note: The Ravelry links mentioned above are only available to Ravelry members. It is free to join. You can find the same tutorials, in more detail, on this site.